It's no surprise - there are a lot of decisions to be made when it comes to buying a home. From deciding on a budget and a down payment to choosing your ideal community and home style, the list of things to consider starts to add up. One of the first decisions you’ll want to make is to decide whether you want to buy an older house or a brand new home. What if there was an easier way to decide which home is right for you? Fortunately, our FREE Guide: A New Home Versus a Resale Home: The Pros and Cons has exactly what you're looking for in order to make an informed decision. 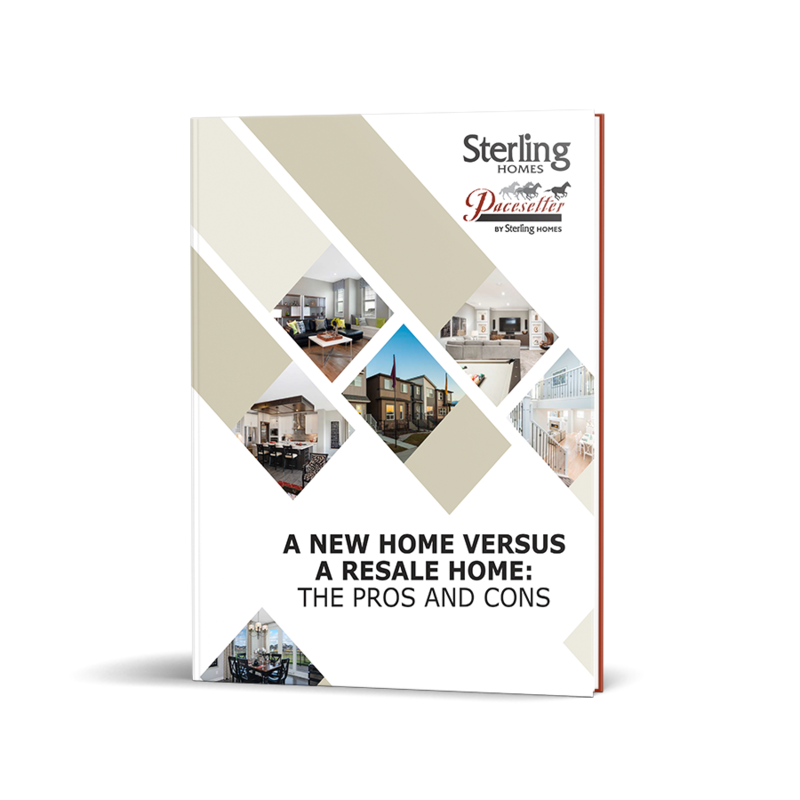 Download your FREE copy of A New Home Versus a Resale Home: The Pros and Cons today! It's so easy to do. Simply fill out the form on this page and you’ll receive free guidance for an easier home buying decision. © 2019 Sterling Homes. All Rights Reserved.